Nimons Bridge was Victoria's fourth-tallest timber trestle bridge when built, and is the third-tallest surviving example. It is also the second-largest composite bridge combining traditional timber piers with rolled steel joist spans and a timber deck. 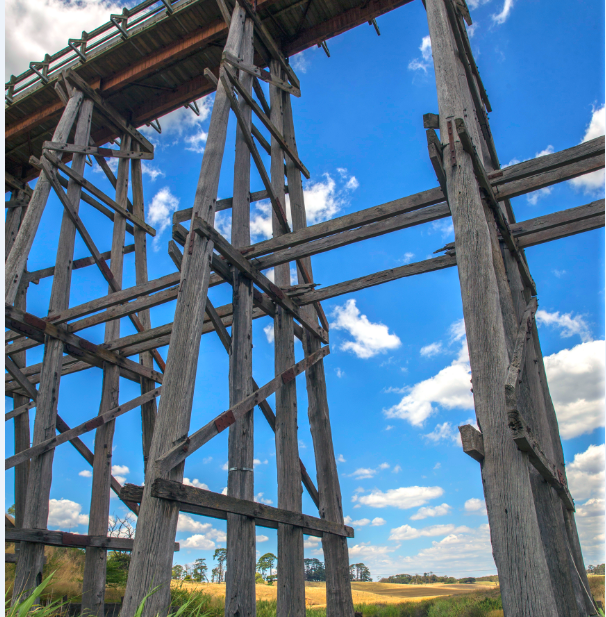 The bridge is the most visually spectacular timber-trestle rail bridge in Western Victoria and is among the most iconic timber-trestle rail bridges surviving anywhere in Australia. Located near Scarsdale and Newtown, the bridge is part of the Ballarat-Skipton Rail Trail.